Today I am reviewing this wig by L-email wig! The shipping was very fast and they were really nice to me!The pack arrived in beautiful conditions with 2 free wig caps and 2 elastic bands!! The fibers are very soft and thicc so you can’t see underneath ut, the tails are the right lenghtand the wig is alreadycutted and styled to fit you! The elastic bands are really fluffy and have a nice light blue colour. The colour of the wig it’s perfect, it’s not too purple or too dark and it has shiny purple reflections! 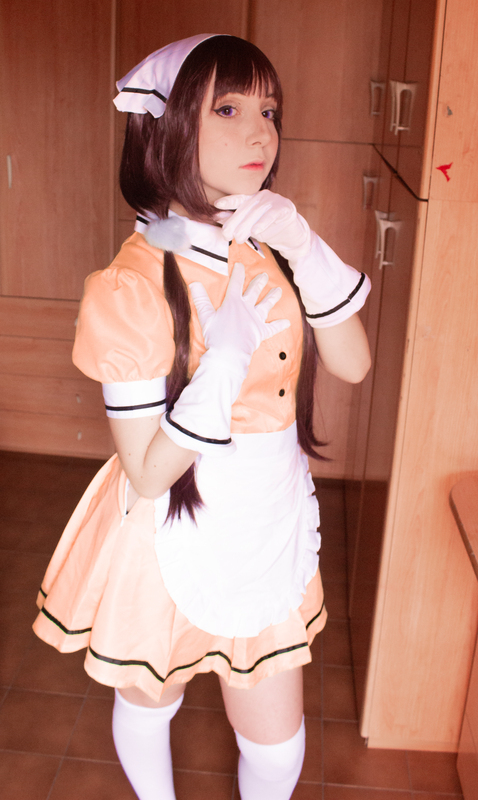 I would reccomend this wig to everyone who wants to do Maika’s cosplay!! 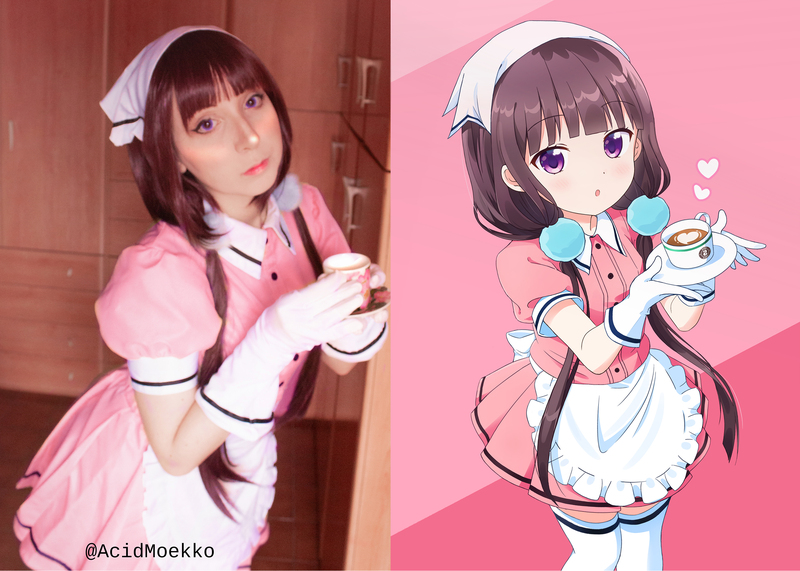 This entry was posted in Buy Cosplay Wigs, Customer Show Time, L-email Wig review, L-email Wig Sponsorship, Wigs and tagged blend s, Blend S cosplay, Maika Sakuranomiya, Maika Sakuranomiya cosplay.